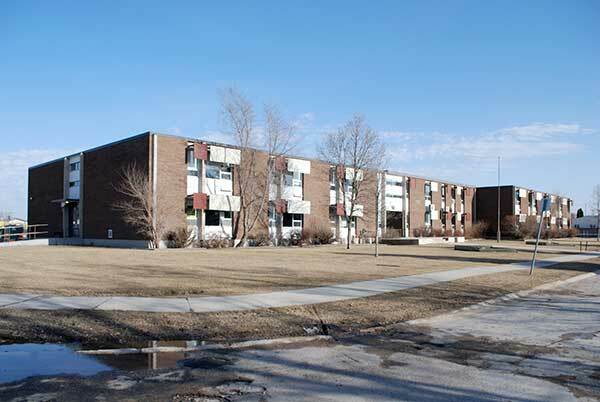 This school in the St. Boniface School Division, located in the Windsor Park area of St. Boniface, was named for Canadian Governor-General Georges Philias Vanier (1888-1967). Built in 1962, students attended temporary classes in six unused classrooms at Beliveau School until its completion. In 1964, school capacity was expanded to 12 classrooms at a cost of $180,000 based on designs of local architect Etienne J. Gaboury. 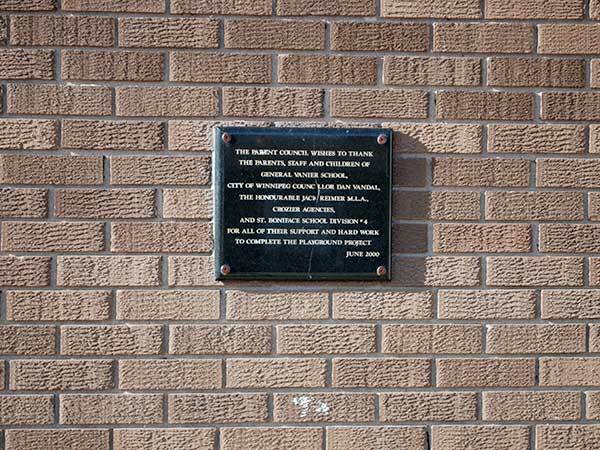 A plaque installed in June of 2000 on the south side of the school commemorates the completion of a playground project. “Pupils out on street,” Winnipeg Free Press, 14 July 1962, page 1. “Seats for pupils,” Winnipeg Free Press, 22 August 1962, page 3. “Money bylaws before suburban voters,” Winnipeg Free Press, 27 September 1963, page 33. “City of St. Boniface,” Winnipeg Free Press, 11 October 1963, page 42. “Tender call,” Winnipeg Free Press, 21 November 1963, page 44. “‘Little Quebec’ fears raised by parents,” Winnipeg Free Press, 26 May 1971, page 3. “General Vanier School,” Winnipeg Free Press, 27 November 1975, page 73. “Firm owned by educators refunds $600,” Winnipeg Free Press, 1 September 1981, page 3. “St. Boniface School Div. No. 4,” Winnipeg Free Press, 20 March 1993, page D15. “St. Boniface School Division No. 4,” Winnipeg Free Press, 26 June 1993, page D13. “St. Boniface School Division No. 4,” Winnipeg Free Press, 16 August 1997, page 70.